Not everything that goes down the runway does so with the intention of starting a wearable trend (can anyone say, "bleached eyebrows"?). But there's often an aspect of a fashion show that can spark inspiration for the masses. Take, for instance, Cara Delevigne wearing all black at the TOPSHOP Fall 2013 show at last year's Fashion Week. Then compare how she translates the trend to something a bit more wearable. Both looks are cute, right? They're both essentially taking the same trend and wearing it as a statement on the runway and as a style on the street. 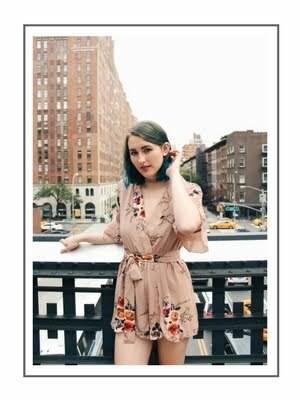 Here are some of my favorite trends for this fall and how to wear them whether you're making a statement or incorporating it into your everyday style. 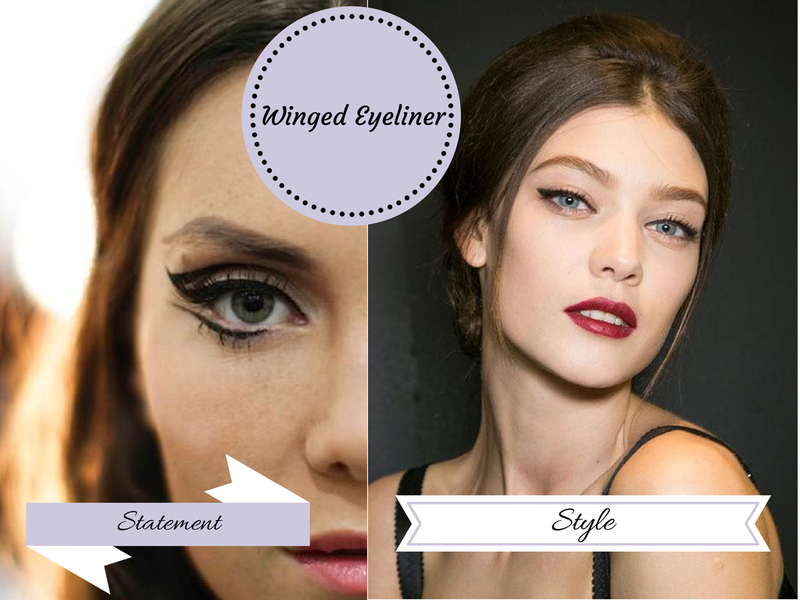 Winged eyeliner is almost a beauty staple in modern fashion, so why not try mixing it up with a double wing look? Connect eyeliner on your lash line and the crease of your eye to form the first wing, then have the second wing swoop out from your bottom lash line. Let's be clear: any time I talk about fur, I'm talking about faux fur. Not only is wearing fur kind of rude to the poor animals who had to give up their skin to give it to you, but it's damn expensive. 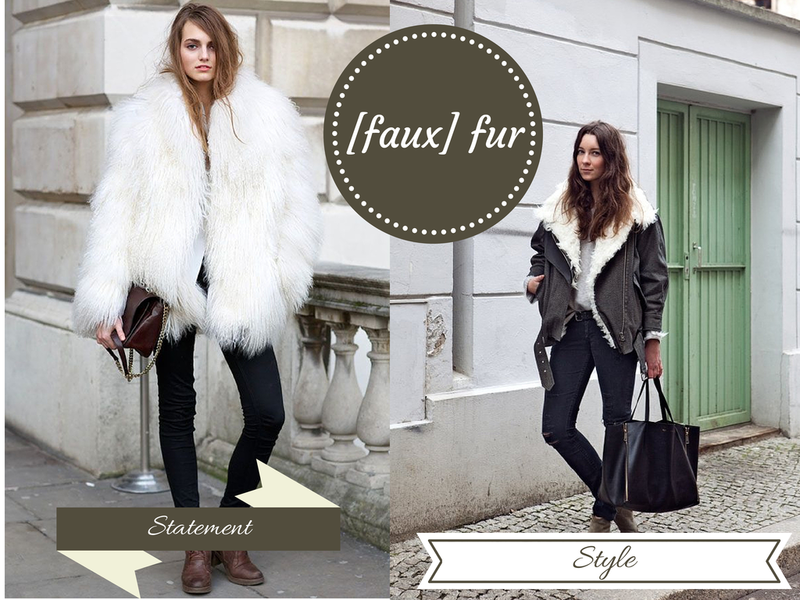 Go all out or all in with fur this fall! Cornrows don't always look so great on white girls due to the natural texture of their hair, but doing just a couple is manageable while still making a statement. 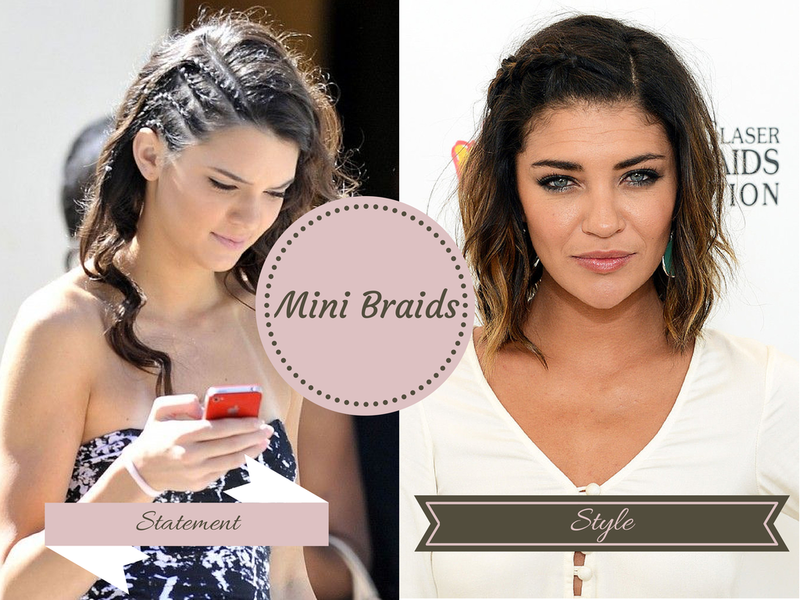 Or, you can use my personal favorite hairstyle to rock mini braids: braid your bangs back off your forehead. 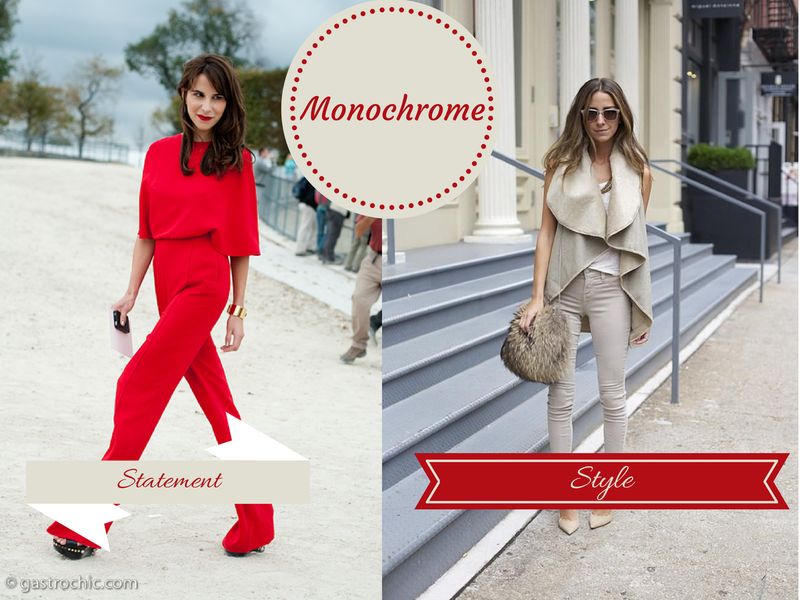 When going for a look in a head-to-toe color, neutral colors like oatmeal or gray are much less intimidating. Are you looking for a challenge? Try wearing all red! When I was in seventh grade, I discovered my "ring role model" in the Friends character Phoebe Buffay. 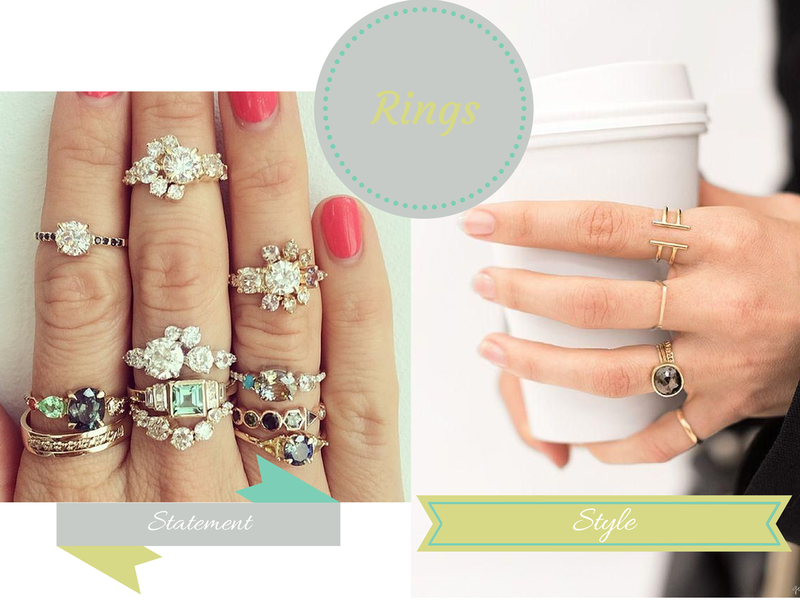 She used to wear a ring (or two or three) on every finger. By sticking to a similar color scheme or minimalistic lines, you can pull this look off without drawing too much attention. If you're looking for attention, just pile them on there! 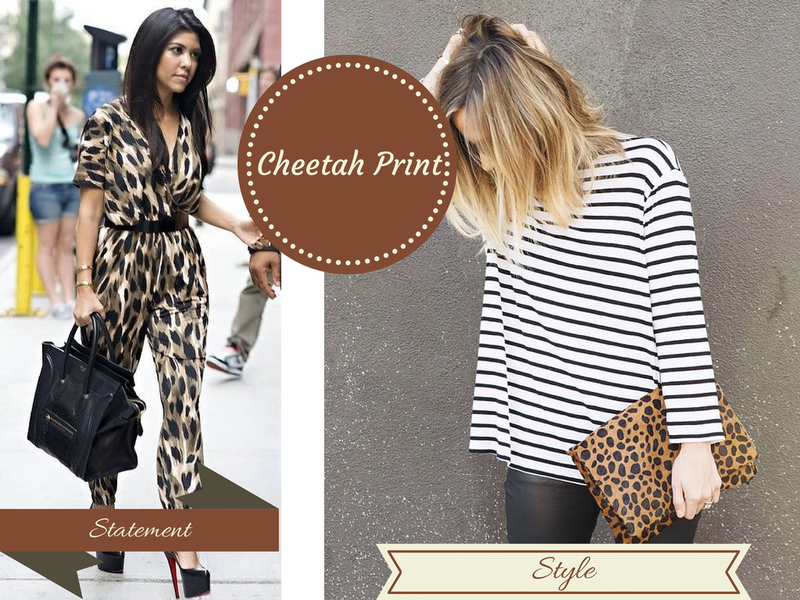 It takes a bold person to wear cheetah print, whether you're making an outfit out of it or using it as a print on an accessory. Either look is awesome, and it's kind of fun to push your own style boundaries!